Suspension Cables for 150W Linear High Bay LED Light: Shown Installed. 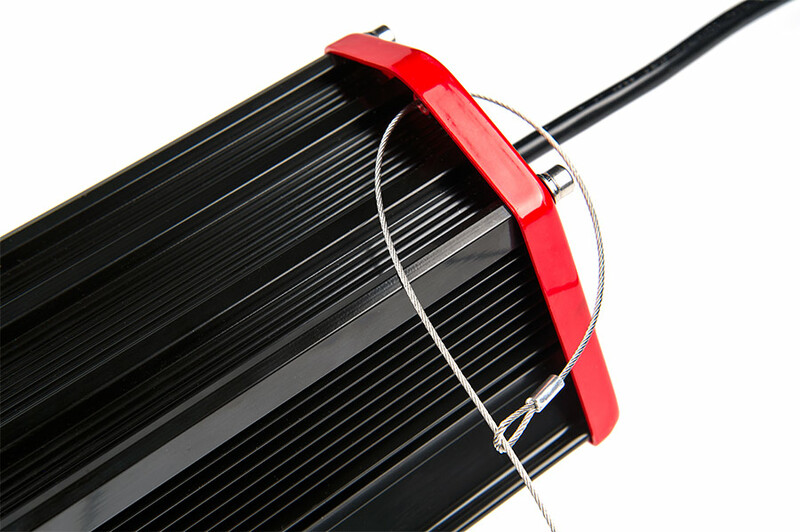 Suspension Cables for 150W Linear High Bay LED Light: Showing Connection To Light Bar. 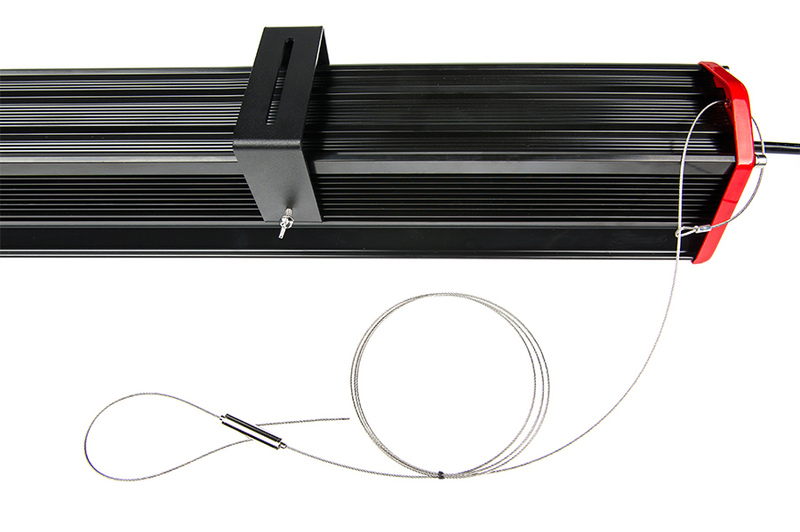 Suspension Cables for 150W Linear High Bay LED Light: Showing Attachment Point On High Bay. 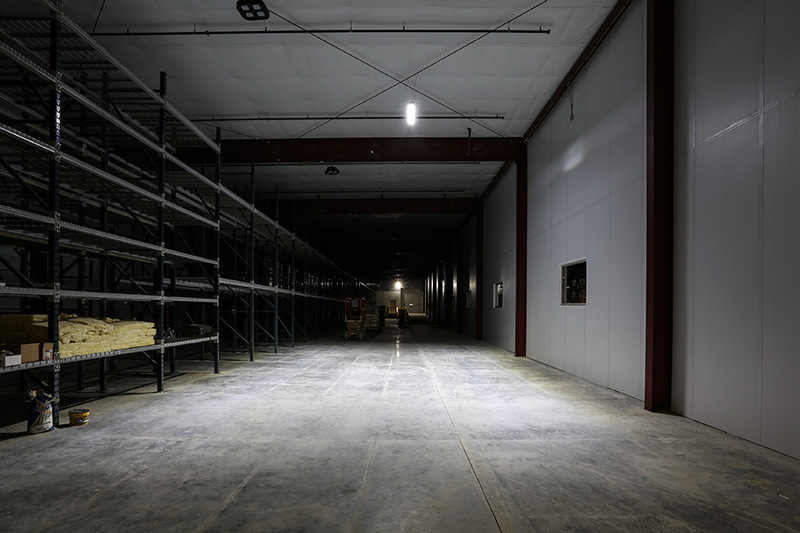 Suspension Cables for 150W Linear High Bay LED Light: Shown Suspending High Bay Light From 25' Warehouse Ceiling. 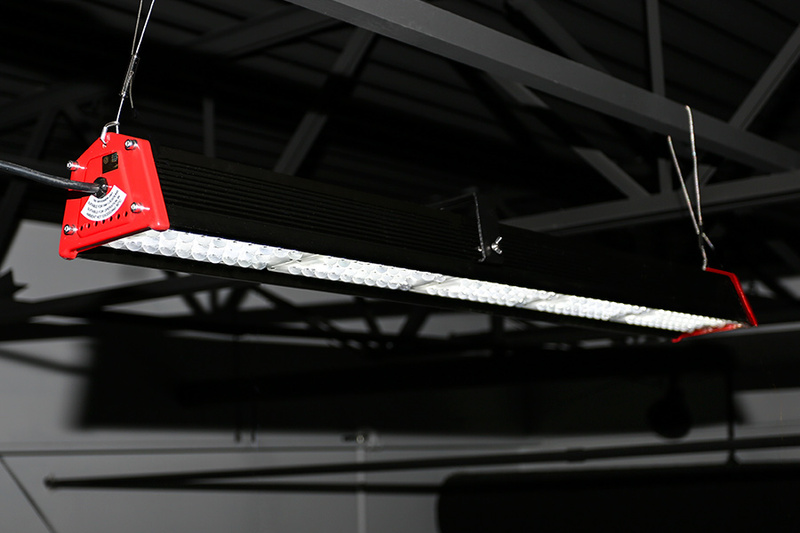 Suspension Cables for 150W Linear High Bay LED Light: Shown Hanging Linear High Bay Light From Warehouse Ceiling. 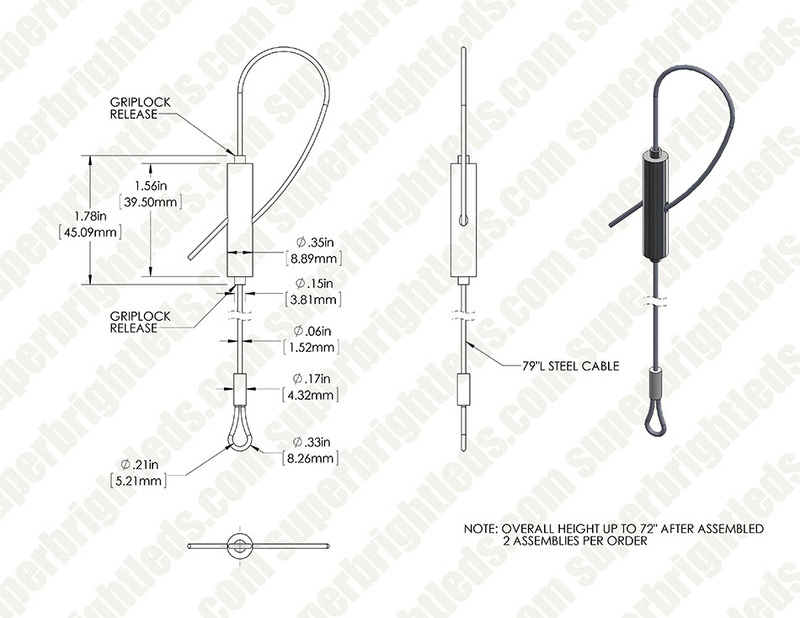 Use these suspension cables to hang your 150W Linear LED Light Fixture. 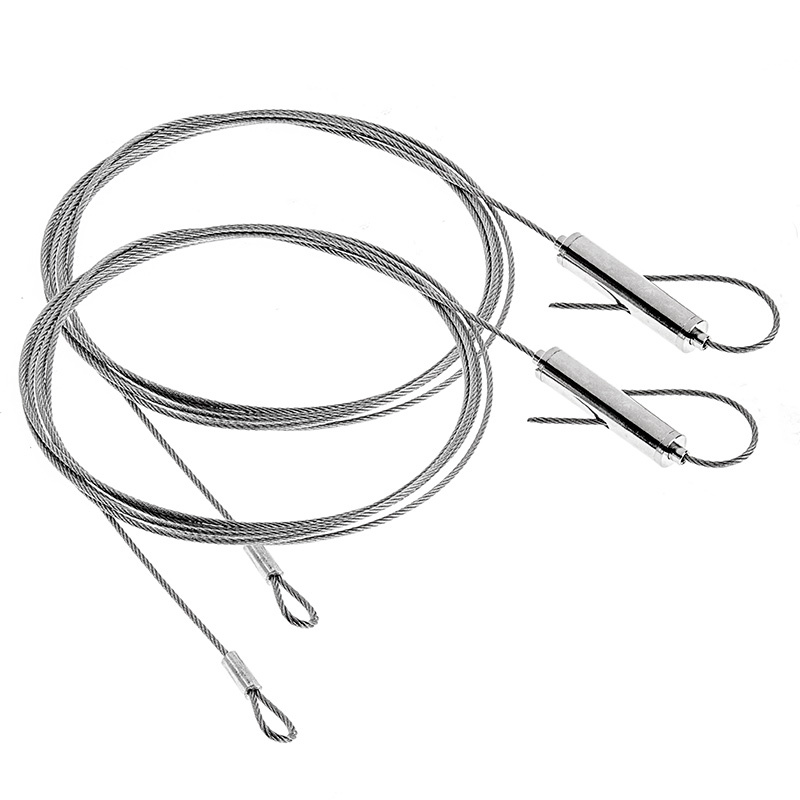 Includes 2 stainless steel braided cables for suspension of up to 6'. 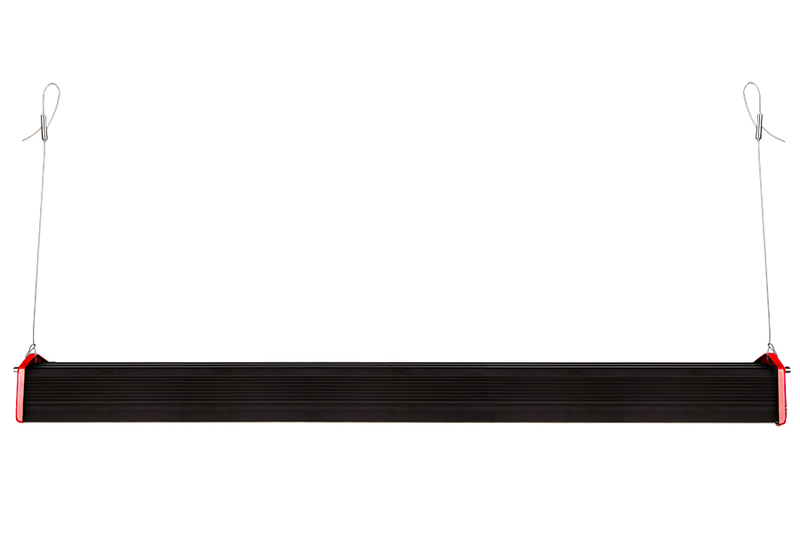 nicely looking , elegant safety that can be visible in decor without calling attention to it.